Scientists from the Binghamton University, State University of New York have developed a micro-scale biological solar cell with the ability to generate higher power density for longer than any such prevalent cell. Binghamton University Electrical and Computer Science Assistant Professor Seokheun Choi. CREDIT: Binghamton University, State University of New York. 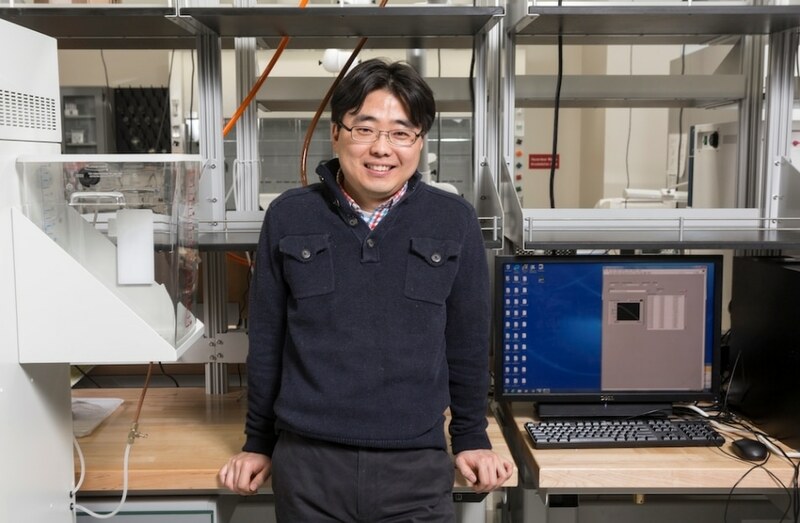 According to Seokheun Choi, a Binghamton University Electrical and Computer Science Assistant Professor; for effective functioning of an independent, stand-alone, self-sustainable point-of-care diagnostic device in remote and limited-resource regions, a microfluidic lab-on-a-chip system with the potential to generate its own power is crucial. Miniaturized biological solar cells, or micro-BSCs, could be the most appropriate power source for such applications, primarily because the method is very similar to earth’s natural ecosystem. Micro-BSCs can continuously generate electricity from microbial photosynthetic and respiratory activities over day-night cycles, offering a clean and renewable power source with self-sustaining potential. However, the promise of this technology has not been translated into practical applications because of its relatively low power and current short lifetimes. Choi along with Lin Liu, a PhD candidate, developed a micro-scale microfluidic biological solar cell which can achieve high electrical power and long-term operational capacity—enabling a sustainable and practical power supply for lab-on-a-chip applications. The bio-solar cell produced the highest power density for a much longer time in comparison with any prevalent micro-scale bio-solar cells. The device will release biological photo-energy conversion technology from its restriction to conceptual research and advance its translational potential toward practical and sustainable power applications for point-of-care diagnostics to work independently and self-sustainably in limited-resource and remote regions. The paper titled “Self-sustainable, high-power-density bio-solar cells for lab-on-a-chip applications” was published in the journal Lab on a Chip.